Six budding garden designers will compete to design an RHS Chelsea Flower Show Main Avenue garden in a new BBC TV series. The Great Chelsea Garden Challenge will be broadcast on BBC Two over four nights, starting on Monday 11 May 2015 – Thursday 14 May. 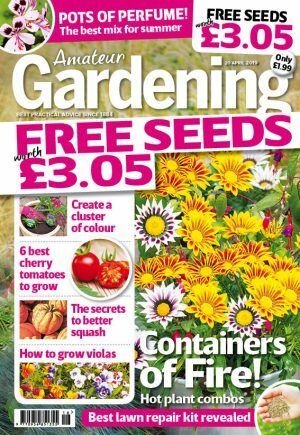 During four, hour-long episodes, the designers will be mentored by TV garden design expert Joe Swift as they compete for the biggest prize in horticulture. Contestants will have just four days and £1,500 to build show gardens in different styles. They’ll try various themes including cottage gardens, formal landscapes and conceptual gardens. Judges will include broadcaster and garden designer James Alexander-Sinclair, and gold medal-winning garden designer Ann-Marie Powell. In each episode, one designer will be awarded the judges’ gold, while others will be sent home. The competition has been filmed at locations including Harlow Carr, Yorkshire; Sudeley Castle, Gloucestershire; Painswick Gardens in the Cotswolds and RHS Garden Wisley in Surrey. The RHS Chelsea Flower Show takes place from 19-23 May in the grounds of the Royal Hospital in London.